Happy 2013 and congratulations to all your newly engaged ladies out there! We have an incredible 2013 lined up for you, it will be filled with all of the prettiest things. 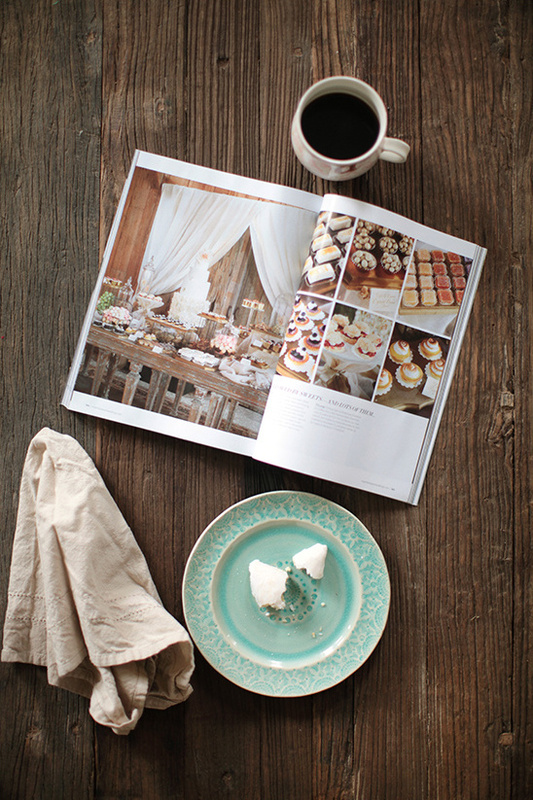 Before we get started, we are still relishing in a little time off and perusing the latest issue of Martha Stewart Weddings. Jam-packed with eye-candy including Ryan Reynolds and Blake Lively's wedding celebration. Their wedding was not the typical celebrity wedding, it a down home beauty put together by Martha and her team of wedding experts. 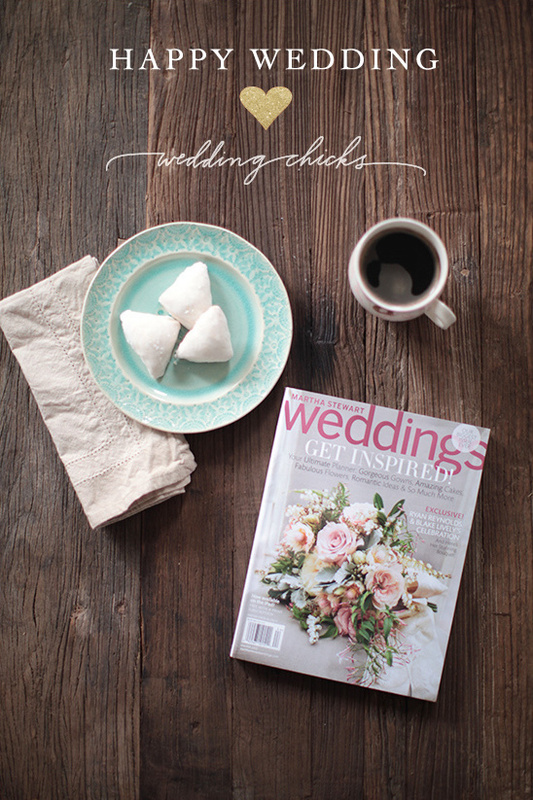 You can see more of the wedding here on Martha's site and of course in the magazine on newsstands now! Here is a sneak peek of the goodies and the two love birds holding hands. Blake wore a couture Marchesa ball gown, and Ryan donned a Burberry suit with custom leather suspenders. Can you image how cute he looked? The dessert table blew us away. An avid cook, crafter, and baker, Blake envisioned an abundant dessert table overflowing with their favorite treats. The focal point was their vanilla-and-sour-cream wedding cake with peach-apricot preserves and Earl Grey-milk chocolate buttercream made by Maggie Austin Cake in Alexandria, Virginia. So amazing ... right? Photos above are captured by Marcus Nilsson an exquisite food photographer.